Dan Bourke, Social Housing Regional Manager at Envirovent, looks at the common issue of mould growth and considers the factors that exacerbate the problem. 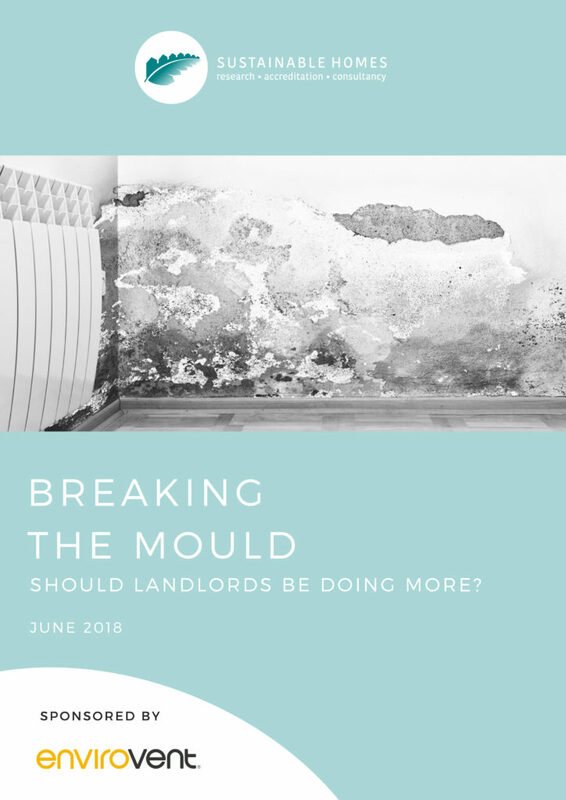 Mould is an issue that regularly arises in tenants’ homes during the colder months and often is the cause of much debate within local authorities. 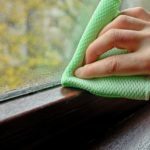 In the past, there was a tendency to put it down solely to lifestyle choices, with the generally accepted view that mould comes about as a result of activities that residents carry out in their home that create excessive moisture. As modern, energy-efficient homes have largely become sealed boxes, the amount of natural ventilation is therefore far less. But does it really make sense to put the issue purely down to lifestyle choices, or should local authorities be doing more to solve the root cause of the problem? Black mould has been the subject of a recent study by campaigning consultancy Sustainable Homes, an organisation that helps landlords and suppliers to improve the quality and environmental performance of their homes. In association with EnviroVent, Sustainable Homes has revealed its results in the ‘Breaking the Mould — Should landlords be doing more?’ report. This study involved four social landlords in the South-east and Midlands, with initial information for the study gathered from a questionnaire sent out to residents, which received 260 completed responses. The study was divided into two parts. Phase 1 took place in the spring of 2017 and Phase 2 over February and March 2018. The questionnaire for residents covered various aspects of air quality, including the incidence of mould in their homes during the recent winter. The responses were then cross-referenced with building data held by these landlords about the homes themselves and also with data from Energy Performance Certificates. The study intended to identify types of buildings where mould would be likely to occur and also to look at the impact of mould on the health of occupants. Click the image to read the report. Phase two involved monitoring the home environment, specifically internal temperature differences and variations in humidity and ventilation rates. The study used a sophisticated information gathering technique to examine over 20 different factors that could contribute to the causes of mould, in order to find which were the most significant. This included the home’s size, its usage — including daytime occupancy and whether pets were present, levels of insulation, age of construction, as well as other factors such as glazing and heating fuels. The factors were then ranked in terms of how much they raised the mould score. The most significant of these was found to be occupant density — the more occupants, the more likely the house was to suffer with mould. In the context of the current housing crisis, where there is a shortage of homes of sufficient size for growing families, this factor is outside the control of residents. Poorly installed insulation was another factor, as it meant uneven surface temperatures and the opportunity for condensation to form in cold spots on walls and ceilings. Newer, more energy-efficient homes with less temperature fluctuations and better quality insulation were found to be less likely to have mould present, as were homes that had the best loft insulation. 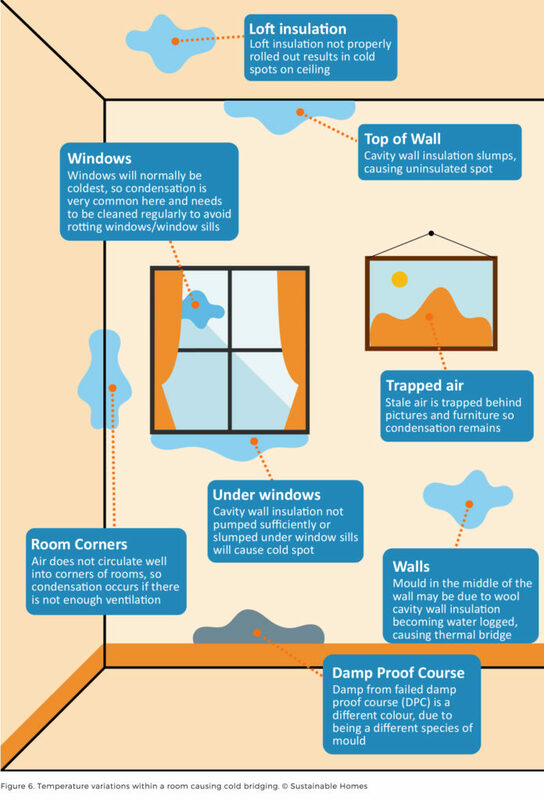 Homes that were continuously occupied were found to be at a higher risk of mould. Cold weather was also found to lead to mould growth as heat is conducted through the walls, making the interior cooler, so the dew point is reached more often. The study found that residents were more likely to experience respiratory issues in homes with mould. In the 139 homes with no mould, the percentage of people with a respiratory condition was 28%. If the mould score was increased by 1.5, then respiratory conditions, such as asthma, rose to 36% of residents and if the mould severity score was above 3.0, it became 63% more likely that the resident living there had a respiratory condition. The report highlighted a need for both landlords and residents to have a better understanding of the most practical ways of dealing with condensation in homes and discusses the issues that landlords should be doing more. While residents can take practical action up to a point, it is to the landlords’ advantage to step in sooner, rather than later, with effective remedial measures. One way of reducing condensation and eliminating black mould effectively is to install a whole house ventilation system, like Positive Input Ventilation (PIV) from EnviroVent. A PIV system works by delivering clean, fresh, filtered air into the home from a central position. The unit gently ventilates the property and dilutes high levels of humidity so that condensation and mould cannot form. It also reduces the level of harmful household contaminants, thus improving indoor air quality and creating a healthy all-year-round living environment. Is mould directly linked to resident behaviour? The ‘Breaking the Mould’ research clearly challenges the traditional assumptions about mould in homes being directly linked to resident behaviour. As the study shows, there are underlying causes of black mould, such as occupant density and failed/poor insulation, which are beyond the control of residents. The study encourages social landlords to work proactively to tackle damp and mould. As there was found to be a strong correlation between household size and mould, due to more breathing, showering, clothes washing and cooking taking place this meant effective ventilation systems are required to remove this extra moisture. Social landlords are being challenged to review their mould complaint procedures and to introduce better ventilation into buildings, as well as to improve training for staff to better deal with residents’ complaints about mould. The ‘Breaking the Mould’ report recommends that landlords must review their approach and understand the long-term implications regarding stock management. The report clearly shows that landlords have to be more proactive to prevent mould. For example, this should include staff training, reviews of mould complaint process and better use of ventilation in buildings. The final recommendation is that social landlords need to gain a better understanding of residents’ demographics to prioritise space and quality over quantity and to consider tackling fuel poverty and mould together. Some landlords have taken this advice and are already re-thinking their processes and taking a more proactive and preventative approach to improving ventilation across their housing stock.